I want to try your IDE out but when I try to install it I get this error. Can you please check that this are not the reasons in your case? 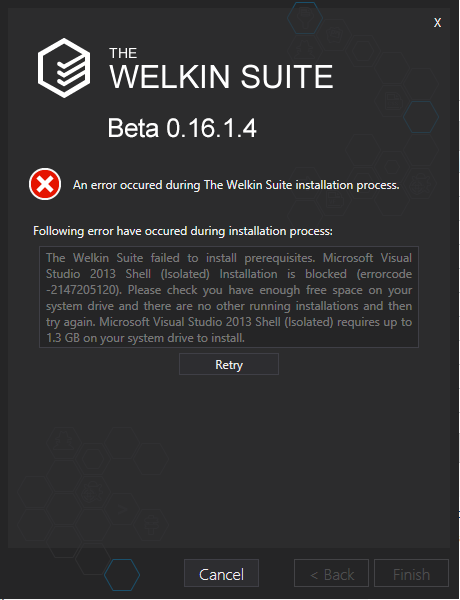 As a workaround to try to install you can manually download and install Visual Studio Isolated Shell and then try installing The Welkin Suite once more. You can download Visual Studio Isolated Shell here. Please let me know if you'll have any updates. Glad that issue is resolved. Hope you'll enjoy using The Welkin Suite.